When it comes to family, there’s no holding back. You want to give it your all, and demand nothing less from any minivan that carries them. With the 2019 Honda Odyssey EX-L, you won’t need to lower your expectations. It’s a generous sized family hauler that’s big on luxury, versatility, and technology, emanating both presence and practicality on the road. Get the best deals on the 2019 Honda Odyssey for sale in Fontana, CA, by booking your next appointment with Rock Honda. Our Honda Odyssey inventory packs the best available options and accessories, easily accessible to customers from San Bernardino and Rancho Cucamonga. And because we’re big on customer experiences, have a test drive on us and see how the Odyssey handles the miles effortlessly. You’d be hard-pressed to find a better Honda dealership serving this side of the Inland Empire, so schedule your next appointment with Rock Honda today. 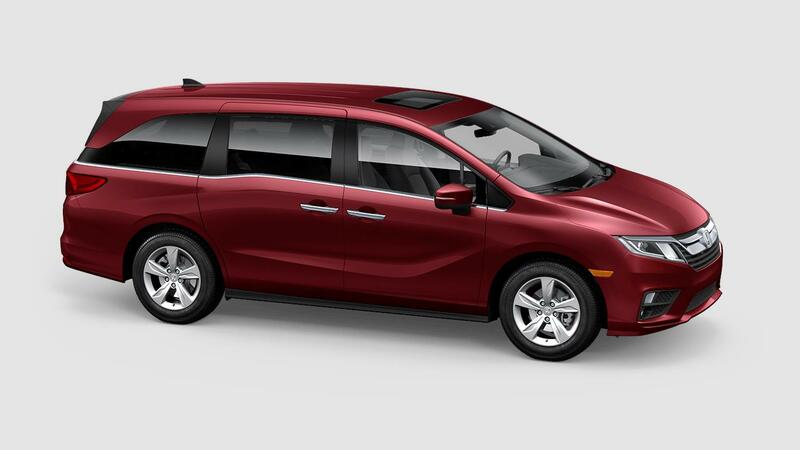 If it’s size you’re looking for, the 2019 Honda Odyssey EX-L has it in spades. But this is no lumbering giant on wheels, with a streamlined body that’s chiseled in all the right places, translating into elegance and efficiency on the move. The prominent Honda badge sits front and center on the grille, flanked by the powerful auto high-beam projector headlights. The silky-smooth profile bridges the front and the rear, where a height-adjustable power tailgate is bookended by LED taillights. The whole stance is completed by a set of 18-inch alloy wheels. Inside, the 2019 Odyssey has more to offer. Power front seats allow you to find the perfect seating position, while the rear Magic Slide™ seats demonstrate superior versatility whether you’re carrying passengers, parcels or anything in between. Don’t sweat any of your journeys with the Tri-Zone Automatic Climate Control, while keeping everyone aboard occupied with the available Rear Entertainment System’s 10.2-inch display. Never lose your way with the available Honda Satellite-Linked Navigation System™, based on Garmin® location technology. Or if you’re all about discovering destinations on your own, let the 8-inch Display Audio touchscreen accompany you with Apple CarPlay® or Android Auto™ connectivity, and keep everyone close by with the available CabinTalk™ In-Car PA System. Big presence requires big power, with the 2019 Honda Odyssey EX-L packing an Earth Dreams 3.5-liter SOHC i-VTEC® V6 engine under the hood. This power performer delivers 280 horsepower and 262 lb-ft of torque, with Variable Cylinder Management™ technology ensuring optimum efficiency in a variety of driving conditions. The 9-speed automatic transmission with paddle shifters lets you sail through the gears flawlessly, while the front MacPherson struts and rear multi-link suspension make the 2019 Odyssey glide over the road as you go along. Make every drive safe with the Blind Spot Information System alerting you of incoming hazards even before you decide to shift lanes. The Remote Engine Start feature gets your Odyssey ready even before you take the driver’s seat, while the Advanced Compatibility Engineering™ body structure shields everyone from injury when the unexpected happens. 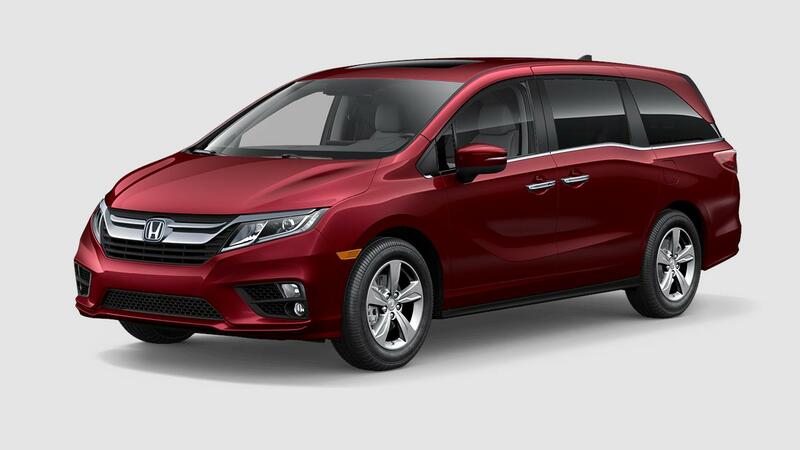 The 2019 Honda Odyssey EX-L delivers superior space and features, so start your larger-than-life family drives only at Rock Honda in Fontana, CA.